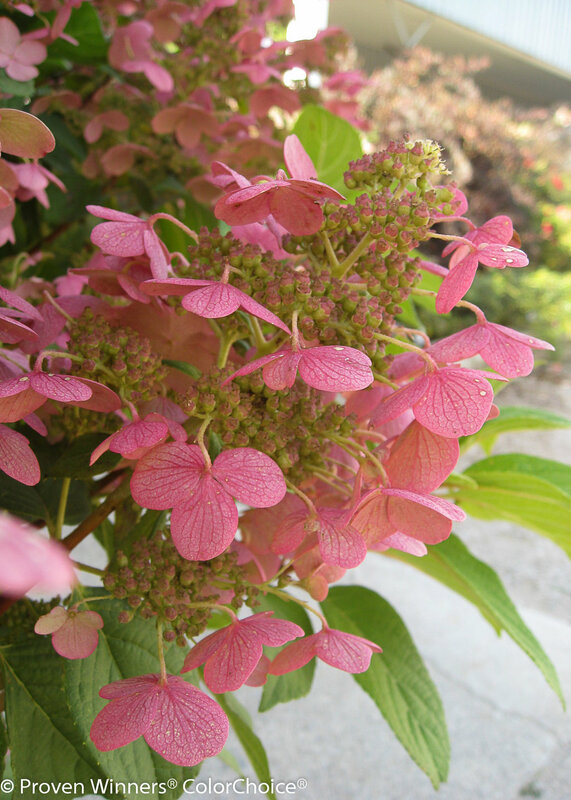 Quick Fire® hydrangea blooms about a month before any other panicle hydrangea - usually by 4th of July in our West Michigan trial gardens. Flowers open pure white then turn pink, and will be an extremely dark rosy-pink in the fall. 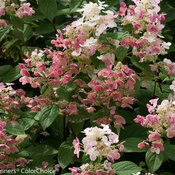 The flower color on Quick Fire hydrangea is not affected by soil pH. 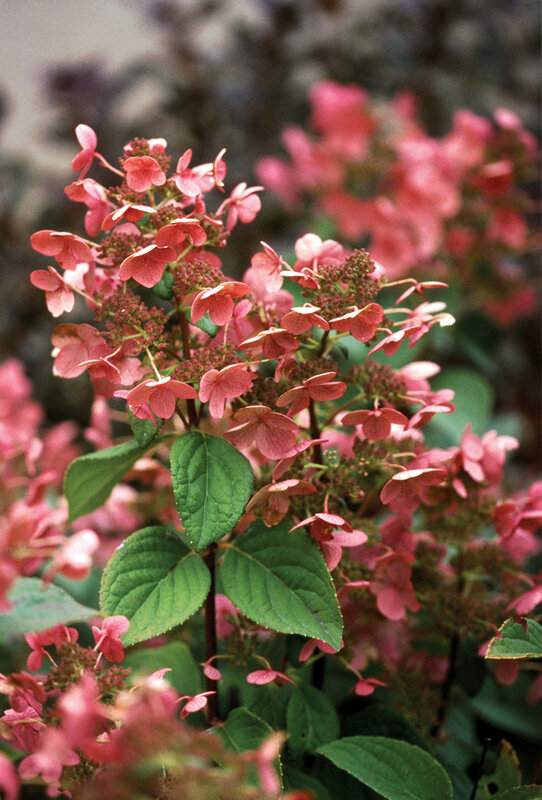 Blooms on this super-hardy and easy to grow hydrangea are produced on new wood, which means that you will see flowers even after even the harshest winters. Beautiful for use as a cut (fresh or dried) flower. 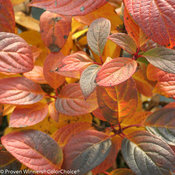 Unlike other panicle hydrangeas, Quick Fire also has excellent fall foliage color for a final hurrah before winter. 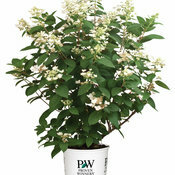 - the earliest blooming panicle hydrangea - gives you months and months of blooms. - excellent fall color - blooms turn deep red, leaves turn gold and burgundy. 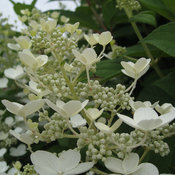 - lacecap variety attracts pollinators. 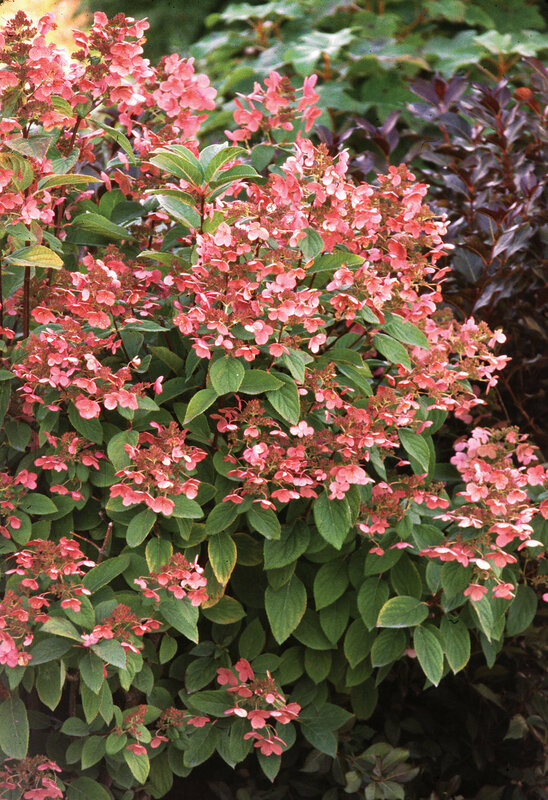 A very hardy flowering shrub good for full sun locations - the hotter your climate, however, the more shade the plant will require. Perfect for a mixed container. 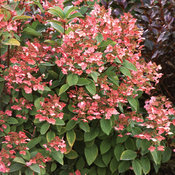 Good for groupings and in mass plantings, shrub and perennial borders, as a specimen, a screen or a hedge. 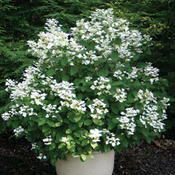 Panicle hydrangeas like Quick Fire are very easy to care for. They can grow in most soils, provided they are well-drained. 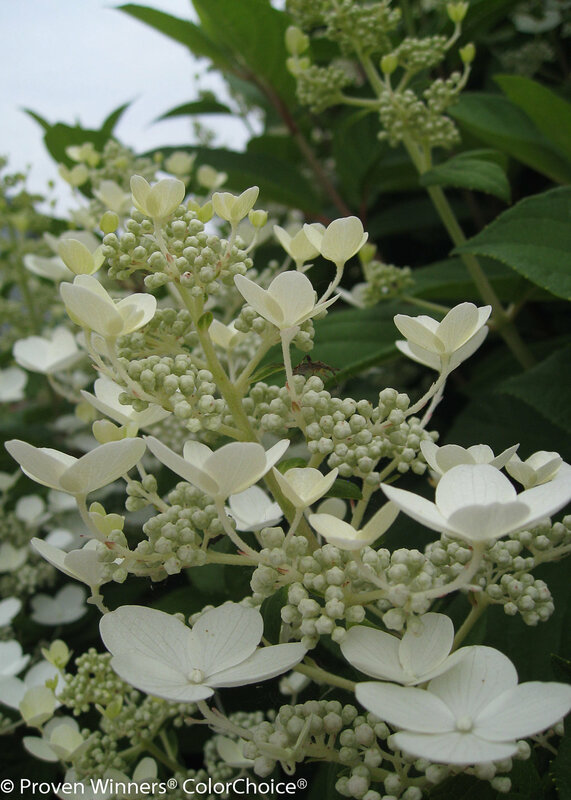 Panicle hydrangeas bloom on new wood, which means they can be pruned in spring and will still bloom that season. We recommend cutting them back by about one-third their total height in early spring, just as the new growth is beginning to emerge on the stems. 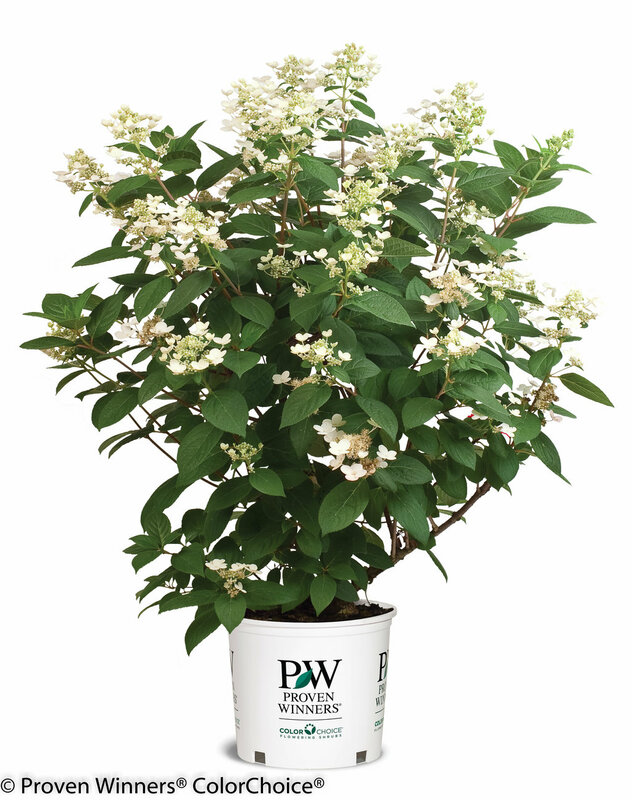 This will serve to remove the spent blooms and ensure that the season's growth comes from the heavier, thicker buds further down the plant. 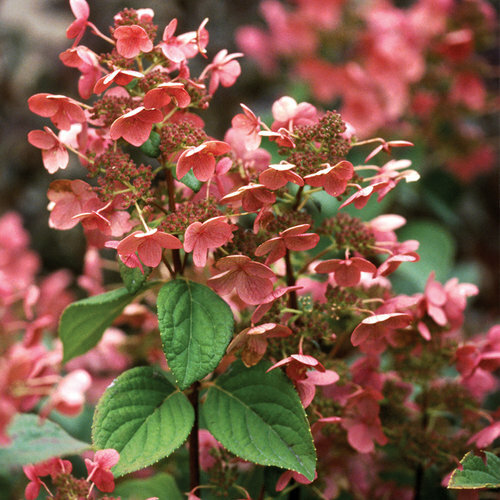 If blooms do not age to pink and red, this indicates that the plant is either in too much shade, that it experienced drought stress, or that night time temperatures were unusually high. This shrub prefers full sun to light shade. Grown in part shade (6 hrs of sun/day or on the West side of a house) it takes 3 or more years to establish itself before becoming full and blooming well. 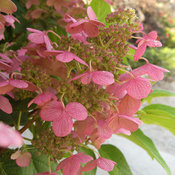 I highly recommend this hydrangea for mostly sunny sites with good root mulch to help retain moisture. Based on its performance in my yard (West side, hot afternoon sun) I doubt it would perform well with Eastern or Northern exposure in all but the warmest, sunniest climates. Planted 3 Quickfire Last fall while they have grown and look healthy there has been no blooms. I am so disappointed! They easily get 6 hours of sun each day. I will probably ask for my money back if they do not bloom. I fetilized lightly this spring and did not cut back. They grew from abou 10" to about 24" tall. I have 4 limelights purchased from another source that are amazing and bloom profusely. Not sure what is going on. A great specimen plant, however it needs to be made deer resistant. Not two weeks after planting the leaves were stripped off. Other than that it is a great plant and I plan to use more. I have had this hydrangea for about 6 years now. While it was young I keep pruning it into a tree form. 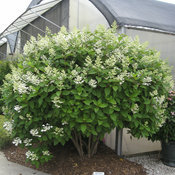 It is now full grown (8' tall) and is one of the most asked about shrubs in my garden. It is so showy and I just love how long the flowers keep that beautiful red color. It does not require a lot of upkeep. Just trimming off the dry flowers in Spring and light pruning. I am now anxious to get Little Quick Fire! 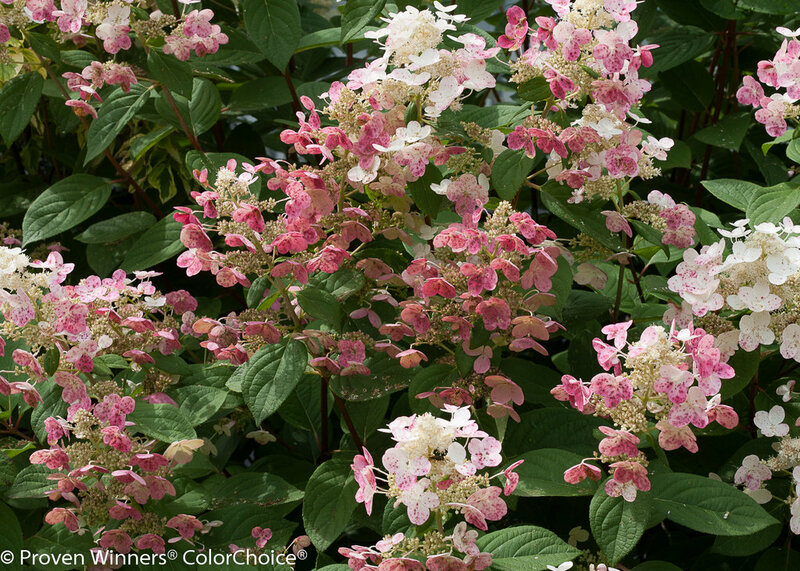 Flowers starts off with cream colored flowers , starts changing to light pink, deep pink, darkens through fall interesting, different form clusters of flowers...more free form. We bought two of these about 2-3 months ago, planted them and they haven't skipped a beat. They bloom constantly, and at this writing, the flowers are changing to a deep rose color. They are flanking our garden gate just off our porch, and just light up the garden. No problems with these at all, they just make me smile whenever I see them. Easy to grow, I would recommend. 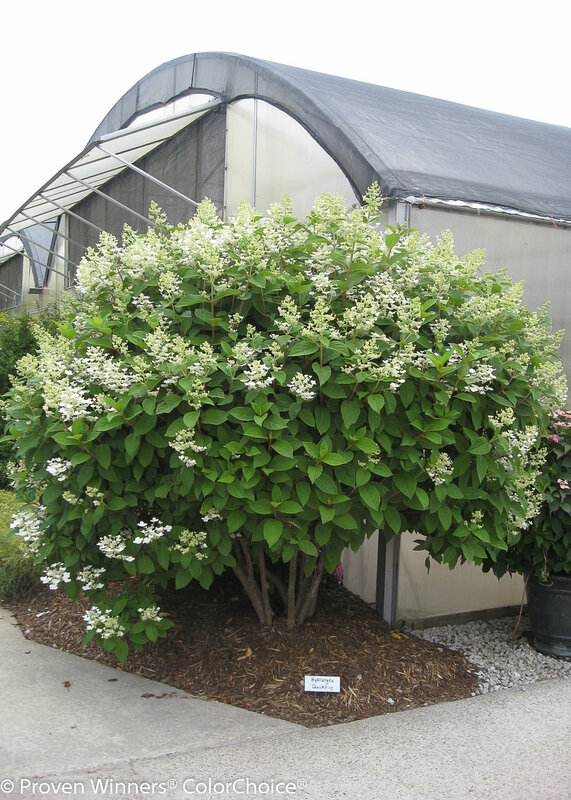 This is a lovely shrub, requires very little attention and attracts all kinds of bees and butterflies in mid-summer. 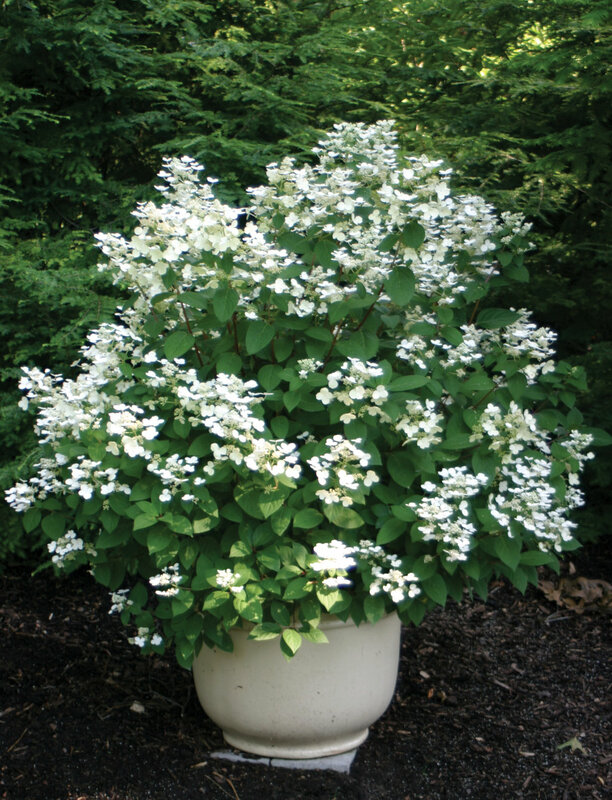 Starts out with lovely white fragrant blooms that slowly turn a deep reddish pink . The blooms dry well for winter use . A couple of years ago we planted 3 large Quick Fire Hydrangeas as a natural border between our house and the one next door. They have turned out to be showstoppers! Everyone ask about them and raves about them.We love how they change from white to pink to dusty rose. They make beautiful dried flowers. For this, they work best when cut while pink and arranged in a vase without water. They dry beautifully. I only with I had planted two more!